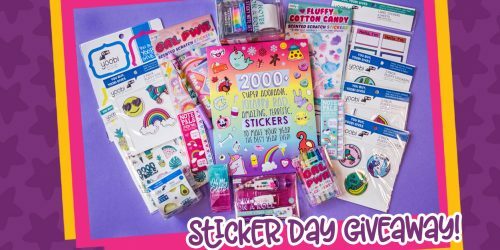 Help Astrid Pay It Forward | YAYOMG! Who’s Astrid? 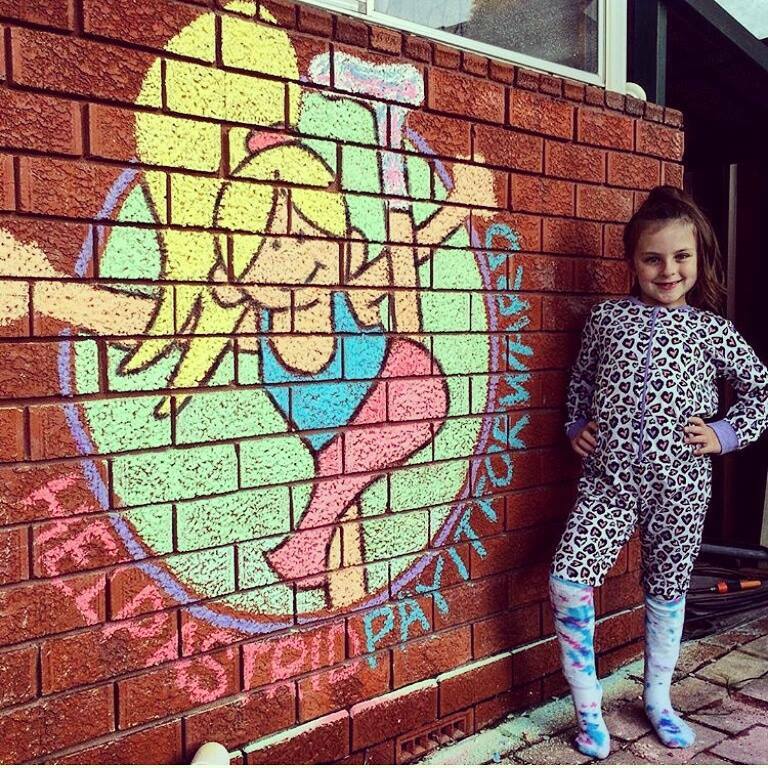 She’s a 10 year old girl from Australia who’s turned her love for crafting into a way to help kids need in need. We were so inspired by Astrid’s story, that we reached out to her mom for some more info. 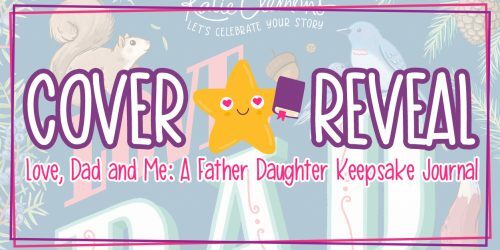 Thanks so much to Trish for answering our questions and allowing us to spread the word about the wonderful ways your daughter is bringing joy and smiles to the world around her! According to her mom, Astrid has always had a love of crafting and helping others. Each year leading up to Christmas, Astrid loves to make a bunch of handmade crafts and bring them to local nursing homes. 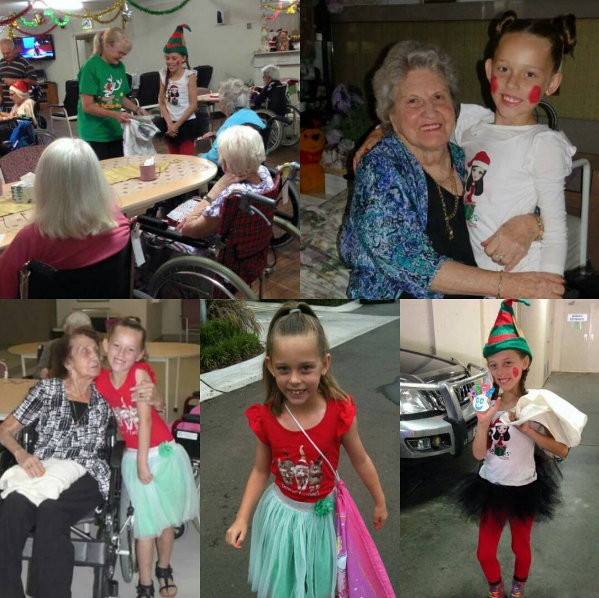 On Christmas morning, Astrid hands out the crafts as gifts to nursing home residents who don’t have any visitors or are unable to leave the nursing home, bringing a smile to all of their faces. Back in January, Astrid decided to give back the world even more in the form of a Toy Drive. With the help of her mom, they set up a Facebook page called “Help Astrid Pay it Forward” in order to help spread the word. 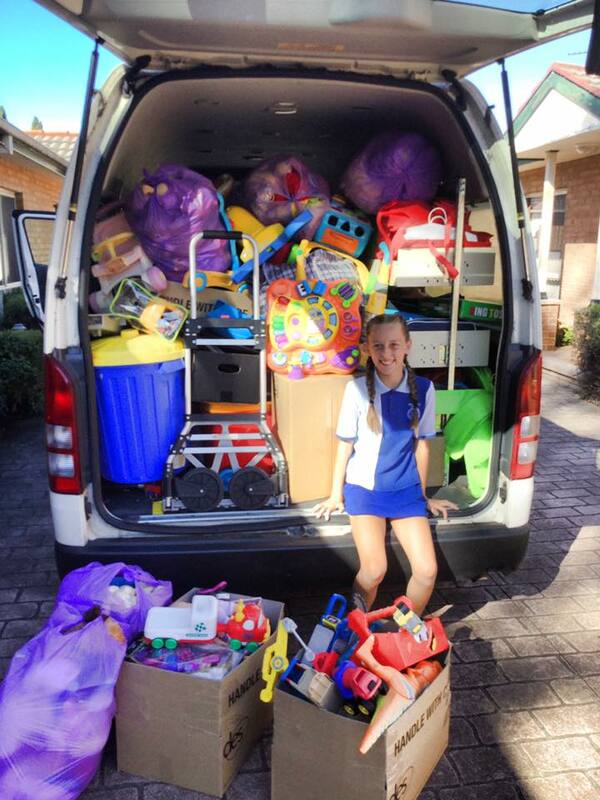 Jump to 3 months later, Astrid has collected thousands of toys and was able to donate them to a loyal toy service and spread joy to tons of kids. Look how many toys she donated! 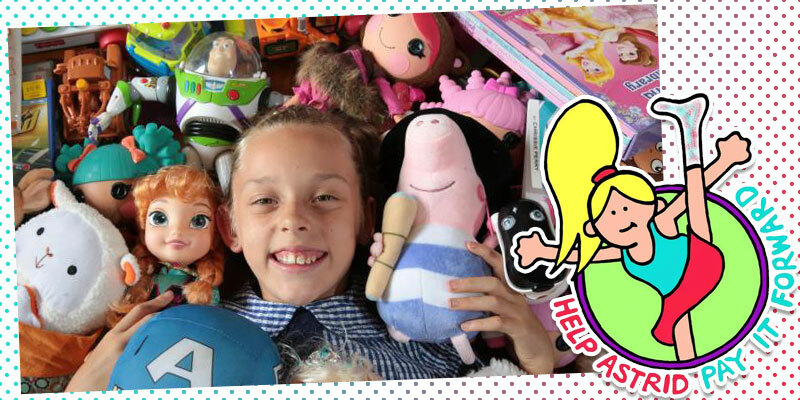 Once her toy drive was over, people began to ask Astrid what her next project was, and she decided she wanted to help children who have been removed from their homes due to unfortunate situations. 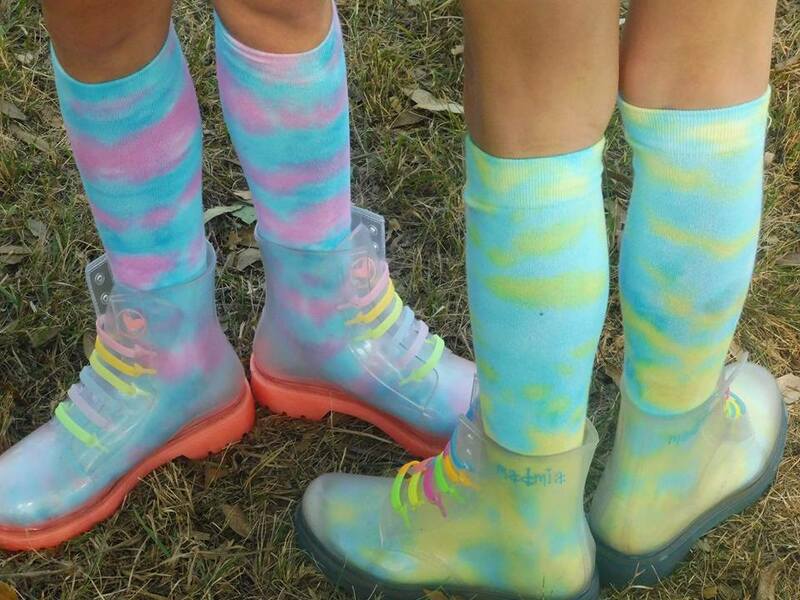 Astrid turned her love for crafting into a business by starting to sell her tie-dyed socks. This way, she could sell these awesome handmade socks to her friends and family in exchange for their donations. Her socks were such a hit (and how could they not be, they’re so pretty! ), she started selling the socks on her Facebook page. After getting a ton of orders in (she sold 47 pairs in her very first week, and it up to over 60 pairs now as we write this! ), Astrid set up her Instagram page (@helpastrid) so people could check in on the progress of the socks, see how they’re made, and keep everyone up to date with her inspiring journey. As Astrid makes money from selling the socks, she puts the funds toward creating care packages for kids in need. With a focus on kids without homes, Astrid includes everything in her care packages from fun things like toys, books, and art supplies to necessities like toothbrushes and hairbrushes. 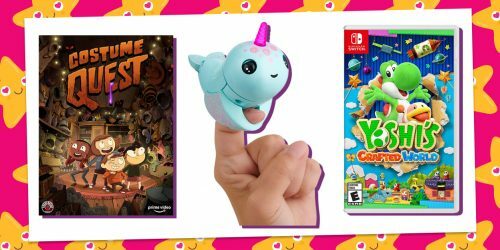 Anything a kid might need can be found in Astrid’s thoughtful care packages, and she makes them for boys and girls ranging in age from infants to middle schoolers. Since her socks are selling so well, Astrid recently decided that she’s going to start selling t-shirts soon too. 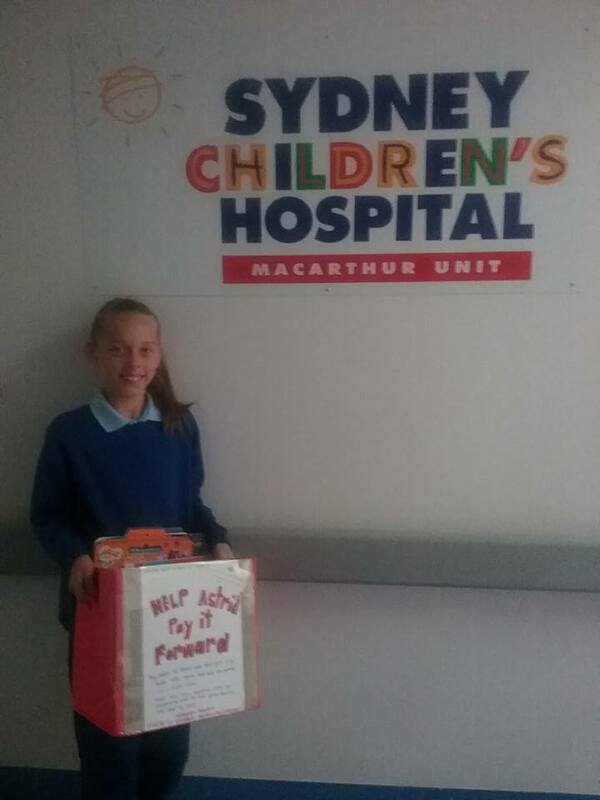 If you already thought Astrid has the biggest heart ever, you’ll be delighted to know that she has also started collecting stationary and art supplies to donate to a local children’s hospital. Caring for (and being!) a sick kid isn’t easy, so this really helps out the parents, the kids, and even the doctors and nurses. What a nice gesture! Astrid recently dropped off her first donation at a local hospital, and is excited to keep doing more to help. 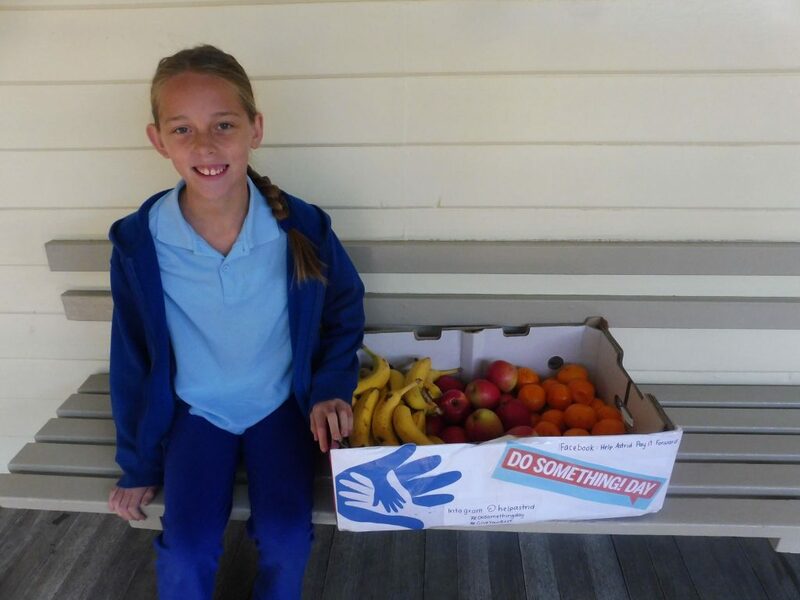 For “Do Something Day” yesterday, Astrid brought over 80 pieces of fruit to a nearby school so they can hand out healthy snacks to their students. With all this do-goodery, you’d think Astrid wouldn’t have any time for herself, which is why we asked her mom what she likes to do for fun. 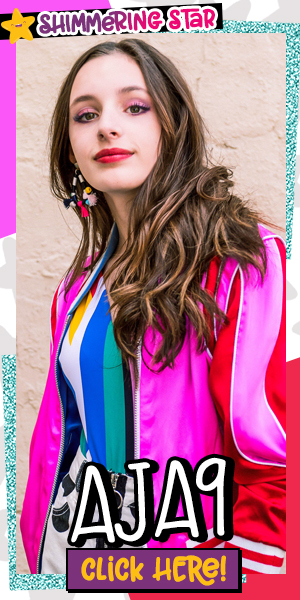 In addition to crafting, she loves going to dance class, spending time hiking and being outdoors, and hanging out with her friends and family. We hope that Astrid’s helpful and kind gestures will inspire kids all around the world to help out their communities in any way they can. Even the smallest gesture can go a long way! Astrid, we think you’re absolutely amazing and can’t wait to see what other amazing ways you work to make the world a better place.